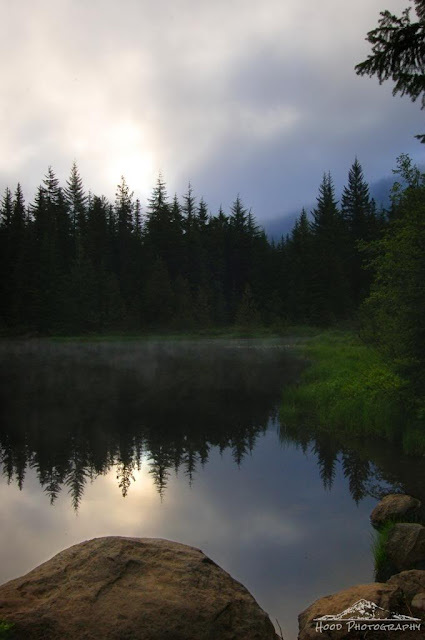 Another photo from my very early morning walk at Trillium Lake. The fog was still barely sitting quietly on the still water, and the sun was starting to burn off the cloud cover above. Beautiful reflection! Love the sunlight! Fantastic capture and such beautiful reflections! We do have so much beauty in the northwest!!! Have a lovely weekend! Water and sky. Such a beautiful combination. Happpy swf. Magnificent composition in your photo! What a lovely place and the sun is so defined in it's reflection. Love the name of the lake, I hope the surrounds are thick in Trilliums.